If you are passionate about beaches then do not resist yourself from enjoying the amazing Indian Beaches which are best places worth visiting under the hot sun. The Indian peninsula is home to some of the beautiful beaches and sea-shores which attract a large number of tourists. The beautiful beaches of India are one of the major reasons behind the amazing growth of tourism in those areas and travelers from different parts of the world visit these beaches to enjoy a relaxing travel experience. The travel beaches in India are considered to be an ideal beach holiday destination and help the travelers to enjoy the endless stretches of golden sand to palm-fringed coves. The major beaches in India offer a tempting combination of sun, sand, sea, and surf which is too hard to resist for anyone who loves beaches and water sports adventures. The amazing climate and atmosphere the prevail in the beaches of India attracts a lot of foreign tourists and they love to lay down and enjoy an amazing sunbath. There are almost 10 states or destinations which offer amazing travel beaches and here we will go through a rough outline of those 10 popular beach destinations in India. Andhra Pradesh is one of the best tourist destinations in South India which is known for its heritage, culture, monuments, wildlife and beaches. Some of the major beaches of Andhra Pradesh are Rishikonda Beach, Bheemunipatnam Beach, Yarada Beach, Mypad Beach and Ramakrishna Beach. Andhra Pradesh is home to one of the longest beach road in India and these highly undiscovered beaches of Andhra Pradesh is sure to give some unique and memorable beach travel experience. Goa is popular as a major beach travel destinations in India and there are some of the best vacation beaches in and around Goa, which makes this place a special one. People from different countries visit the beaches of Goa to have an amazing beach travel experience with friends and family. Some of the major beaches in Goa include Calungate Beach, Anjuna Beach, Aguada Beach, Benaulim Beach, Colva Beach, Agonda Beach, Morjim Beach, Arambol Beach, Baga Beach etc. With a coastline measuring more than 1660 km, Gujarat is one of the best places to enjoy a beach vacation in India. The palaces, the scenic rocks and shore temples are some of the major features that make the beaches of Gujarat unique. Ahmedpur Mandvi, Chorwad Beach, Beyt Dwarka Beach, Veraval Beach and Gopnath Beach some of the major beach travel destinations in Gujarat. Situated in the Bay of Bengal joining Indian Ocean, Andaman and Nicobar Islands are one of the hottest tourist destinations in India and is home to some of the best travel spots. Apart from the natural beauty, climate and atmosphere, one of the major things that attract the tourists are the presence of some of the most beautiful blue water beaches in India. Some of the most popular travel beaches in Andaman and Nicobar include Corbyn Cove, Karmatang Beach, Radhanagar Beach, Harminder Bay Beach, Ramnagar, and Vijaynagar Beach. Kerala is one of the most beautiful travel destinations in India and the beaches of Kerala are just another major factor that adds value to your travel experience in Kerala. The exotic beaches of Kerala are considered to be the best place to spend your vacation in India and the 550 km long coastline of Kerala offers beaches with different features. Some of the best beaches in Kerala worth visiting are Bekal Fort Beach, Meenkunnu Beach, Cherai Beach, Varkala Beach, Payyambalam Beach, Shanghumugham Beach, Kovalam Beach, Papanasham Beach, Kizhunna Beach etc. This beautiful travel place in south India is also home to some of the best beaches in India and travelers love to visit these amazing beaches of Karnataka. The 320 km coastline of Karnataka offers some of the finest beaches which will help you to enjoy a much needed break from your daily busy life. 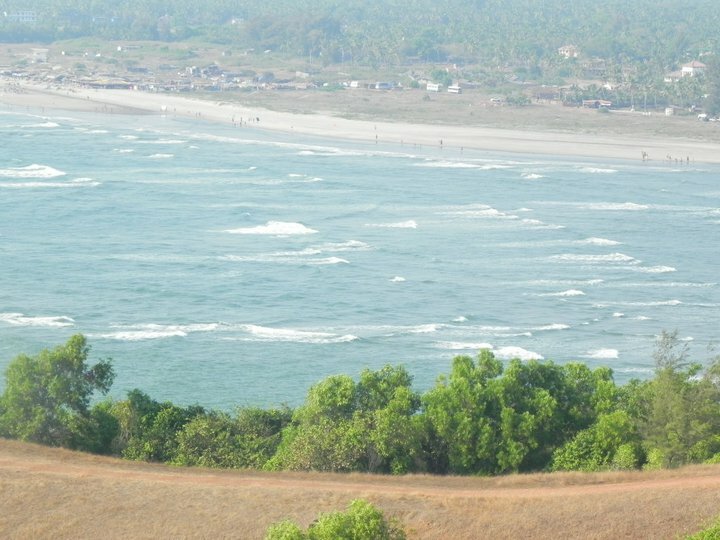 The major travel beaches of Karnataka include Bhatkal Beach, Murudeshwar Beach, Karwar Beach, Kurumgad Beach, Malpe Beach, Kaup Beach, Gokarna Beach and Maravanthe Beach. Maharashtra is blessed with a 720 km long coastal line and is considered to be a major travel destination in the west of India. The beaches of Maharashtra are well known for its amazing beauty, charm, tranguility and cool climate, which make the beaches of Maharashtra something special. Dahanu Bordi Beach, Ganapatipule Beach, Mandwa and Kihim Beach, Shriwardhan Harihareshwar Beach, Marve Manori and Gorai Beach, Velneshwar Beach, Tarkarli Beach and Vengurla Malvan Beach are few of the major beaches in Maharashtra. The marvelous islands of Lakshadweep in India are a traveler’s delight due it amazing landscape beauty and the presence of some of the exotic beaches in India. People mainly travel to Lakshadweep to enjoy some time at the amazing beaches of Lakshadweep and these beaches are one of the major reasons why this island is a hot travel destination in India. The coral reefs, coconut canopies, the swaying palms, silver sand beaches, the blue lagoons and the amazing marine life are some of the notable features of the beaches in Lakshadweep Islands. Kavaratti Beach, Kalpeni Beach, Kadamat Beach, Minicoy Beach and Bangaram Beach are some of the major vacation travel beaches in Lakshadweep. The beaches of Orissa / Odisha are one of the best places for those interested in enjoying the beauty and calm of a perfect beach destination. The spectacular beaches in Orissa provide you some of the best and unexplored beaches with some amazing features. Some of the most popular beaches in Orissa are Chandipur Beach, Paradeep Beach, Gopalpur Beach, Konark Beach and Puri Beach. This entry was posted in Destinations and tagged beach destinations india, beach travel destinations india, beaches of india, popular beaches of india, travel beaches india. Bookmark the permalink.